What's New for the 2018 Subaru BRZ? The Subaru BRZ is a two-door coupe that is a close relative of the Toyota 86 and Scion FRS. All three cars were produced as a result of a joint-project between Subaru and Toyota. The BRZ has been in production since 2013 and has been well-received by both car enthusiasts and car critics since its debut. For 2018, a new BRZ trim is available. 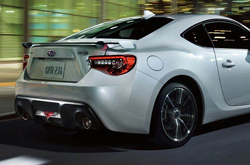 The tS houses the same engine as the other BRZ trims, but Subaru offers the tS with upgrades to the suspension and aero. 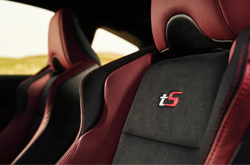 A variety of the parts on the tS are STI-developed parts that hold the STI moniker. One of the most noticeable upgrades on the tS is the two-position carbon fiber wing that rests on the trunk. There are now three trims, total, that are available for the 2018 Subaru BRZ; the BRZ Premium, the BRZ Limited, and the BRZ tS. All three trims come standard with a leather-wrapped steering wheel, LED headlights, and Bluetooth connectivity. 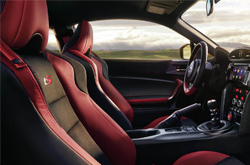 Though the trunk space of the BRZ is limited, the rear seats can be folded down to add additional cargo space. When locked upright, the rear seats are able to comfortably seat children in addition to luggage. The Subaru BRZ has the heart of a Subaru. A 2.0 liter four-cylinder boxer engine powers the BRZ. The BRZ produces 205 horsepower and 156 lb-ft of torque, from the factory, and achieves an estimated 24 mpg city and 33 mpg highway. The engine is mated to a six-speed manual transmission, but customers can opt to use a six-speed automatic transmission that offers paddle-shifters. Weighing around 2,789 lbs, the BRZ is an agile car. The BRZ Limited and BRZ tS models come with Brembo performance brakes in order to stop the car quickly. Unlike all of Subaru's other vehicles, the BRZ is not all-wheel drive; the BRZ drives power through a rear-wheel drive system. Subaru Torsen rear-slip differential keeps the car in check around turns, and allows for quick acceleration at the exit of each turn. To aid in traction, the BRZ uses a traction control system that can be deactivated when the car is in Track Mode. Active safety features are not available on the 2018 BRZ but each BRZ does feature a rearview camera in addition to automatic headlights. 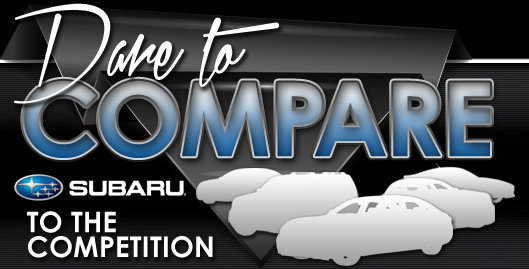 The BRZ received a four star rating in the front-crash safety test from the National Highway Traffic Safety Administration.